01. Get over my phobias – I have vaguely mentioned my phobias on my blog before, but its not a topic I particularly like to discuss. I have a huge needle phobia and also suffer from emetophobia which is the fear of sick. By the end of the year I’d love to be able to deal with them both a lot better. 02. Get more piercings – I currently have both of my ears pierced twice and then one piercing further up my right ear, but I really want more. Also to get my nose pierced, hopefully that will happen by the end of the year! 03. Explore new places – I definitely don’t do enough of this, I really want to be able to visit new places and take some super cool photos. Hopefully I’ll accomplish this by the end of the year! 04. Pass my driving test – I’ve had a few lessons already, and I’d really love to have passed by summer so I can be as independent as possible. It’ll make life a lot easier if I can get myself places etcc! 05. 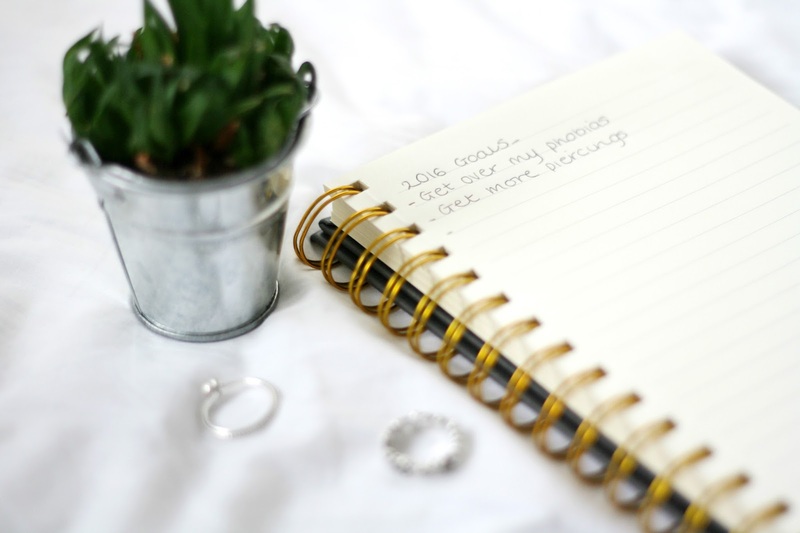 Make better blog content – I’m determined to make my blog better, I love blogging so much and I want the content I put onto Forever September to be the best it can! Hopefully I’ll get to visit more places, do more cool things and put up some good content! 06. Create a photo album – I’m going to buy a lot of disposable cameras this year, as I want to capture all the great moments and document them all in a photo album. I think this is a lovely way of keeping memories, plus I just adore photography. 07. Do a 10K run for charity – I do little to no exercise which is really bad. I’d love to be able to train and end up doing a 10K run for my chosen charity, I haven’t decided which yet but I have a few ideas. I want to get a lot fitter and manage to do the whole run!